The Campbell Town Robins’ scoreboard may well have the best name of all. Plenty of scoreboards are named, quite rightly, after particular individuals. 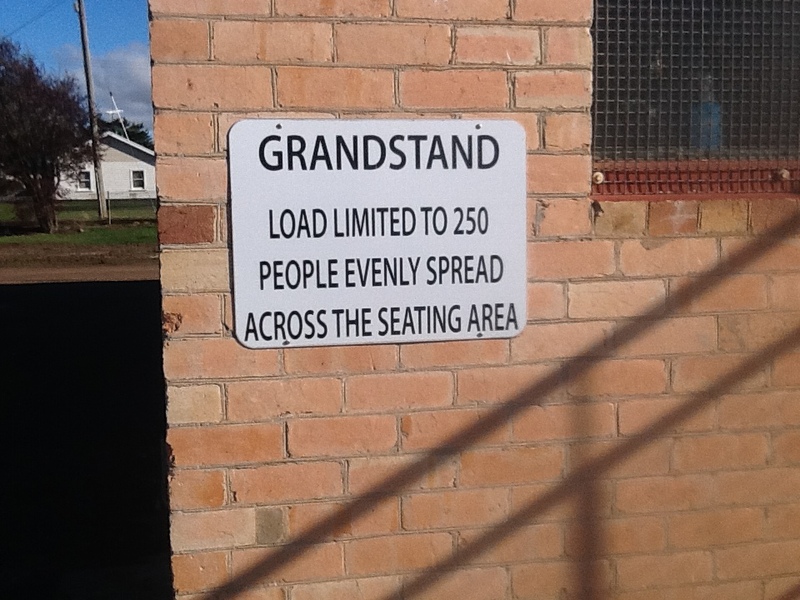 Campbell Town, though, prefers to spread the love. 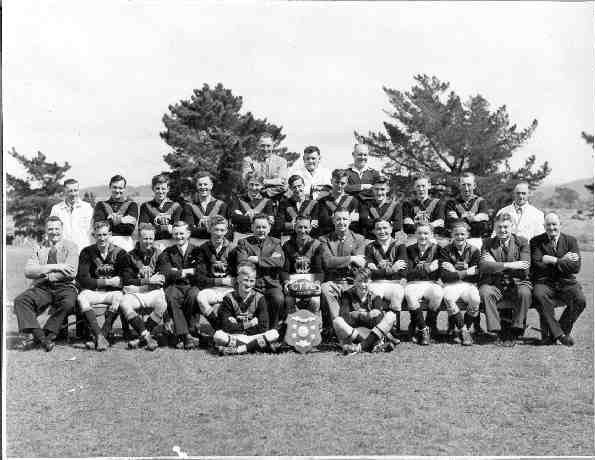 When the skipper wins the toss, he or she says , “We’ll kick to the Anglican end” (above) or “We’ll kick to the Catholic end” (below). Either way God’s on your side. 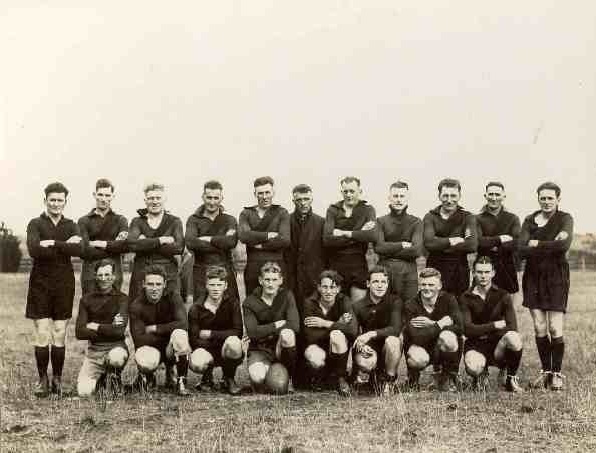 The Robins wear black and red and play in the Oatlands District Football Association. 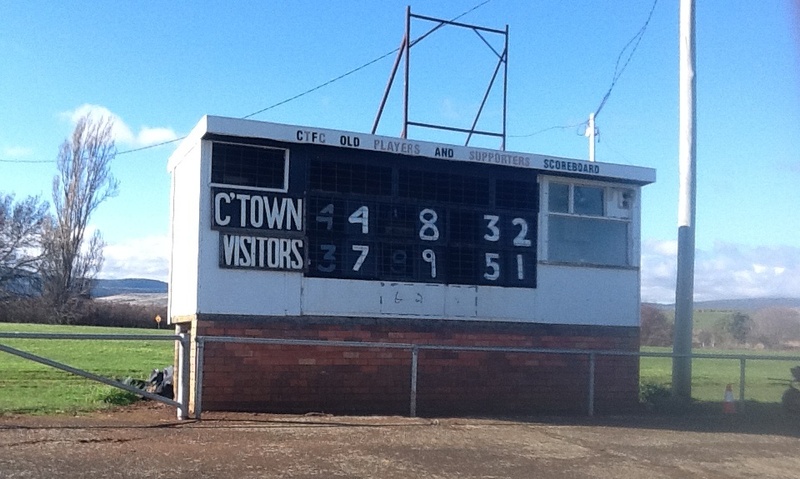 See also David Bridie’s photo of the Campbell Town scoreboard, from his CD Wake.